Baseball Academy of Hawaii. We are also the NPA Hawaii headquarters. 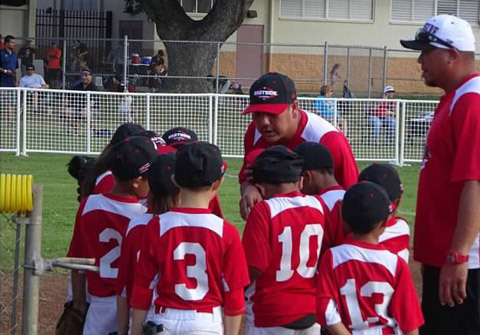 We offer the best baseball coaching in Hawaii, period. Aloha! Welcome to the Baseball Academy of Hawaii. We help players in all positions master new skills, develop their team efforts, avoid injuries and deepen their love for the game. We offer small group lessons, one-on-one instruction and specialized multi-day clinics. We are the only NPA Certified Coaches in Hawaii. We offer individual and small group classes for baseball fielders, hitters and pitchers. 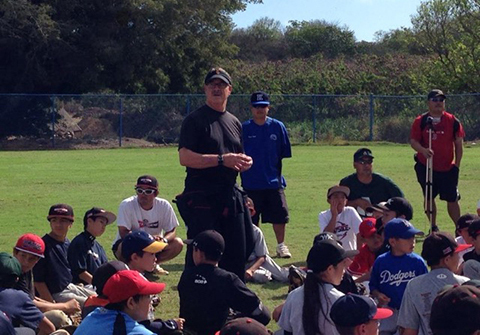 We hold specialized, multiple-day clinics several times throughout the year for pitchers. Only with us! Join a clinic or super camp with NPA Regional Director Corey Ishigo and NPA founder Tom House. Our older son has attended the Academy since the winter of 2010, and our younger son started attending in 2012. Since attending, their baseball skills and knowledge continue to improve tremendously. Corey, Travis, and Charlie consistently introduce new skills and techniques to challenge players and foster their development. Much of what they instill in players applies not only to baseball, but also to life: hard work, dedication, and the need for continual improvement. Both sons have also benefitted greatly from the Academy’s relationship with the National Pitching Association. The NPA drills, workouts, and throwing mechanics have allowed for significant improvement in throwing velocity and accuracy, both on and off the mound. We truly believe that the Academy has directly influenced both sons’ accomplishments on the baseball diamond. We are the only NPA Hawaii headquarters. The best pitchers (and rotational athletics) look to the NPA for ways to become even better. 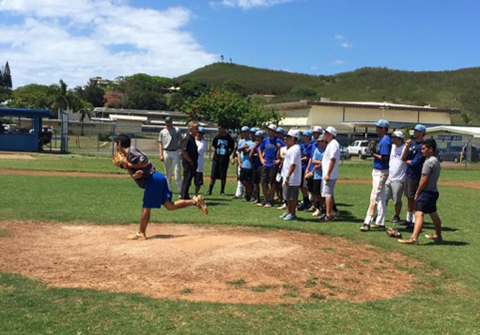 Corey Ishigo, head of the Hawaii Baseball Academy is also the Regional Director for the NPA in Hawaii. Corey and his staff will teach you the best, newest, data-backed techniques that will help you master every pitch you throw and teach you ways to avoid injuries. The NPA Hawaii often holds clinics with NPA Founder Tom House.